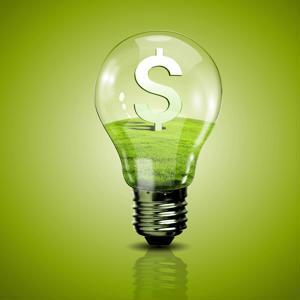 Despite a tough economic climate, three out of four small businesses said offering green products and services helped them weather through the recession, according to a recent study by Green America, EcoVentures International and the Association for Enterprise Opportunity. The survey noted the market for eco-friendly products has grown significantly in the past decade. Green buildings increased by 1,700 percent while the market for conventional buildings shrank. Organic food gained popularity as well. Consumers have placed a much higher emphasis on sustainability, and it has helped drive business decisions. Respondents who achieved gains during the recession increased sales at a higher level the more green the company was. The study separated small businesses into three separate groups based on the sustainability of their products and services and the degree to which they reduced waste and made more efficient use of water and energy. The greenest small businesses reported stronger gains than the less green companies in nearly every category. More than half of firms were able to expand their offering with green products during the recession, and the majority of them were able to increase sales from new products. Most business owners felt green products gave them a competitive advantage. "We believe the market preference reported by the small businesses in this study is just the tipping point," said Russ Gaskin, chief business officer of Green America. "Sustainability is clearly becoming a competitive imperative in business." There was a clear link between companies who had adopted green procurement and profit increases. There were many ways small companies were able to improve environmental impacts, including green office cleaning and investing with companies committed to sustainable sourcing. Sustainability gave even small, new companies the opportunity to grow and increase sales.